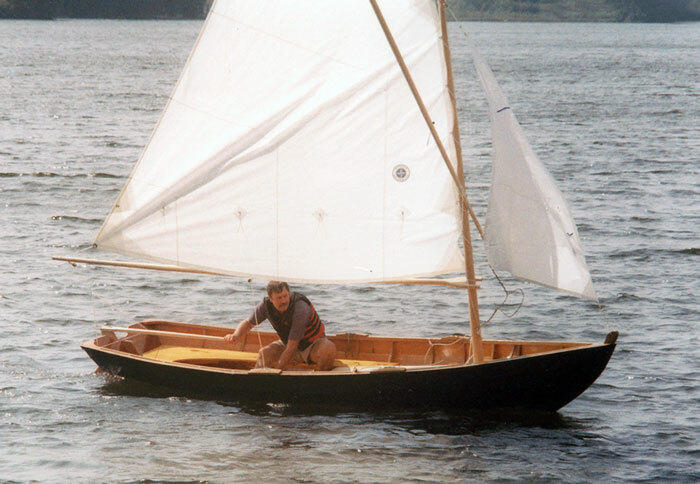 Robert Janoch was inspired to build a boat after taking a course from John Gardner many years ago. 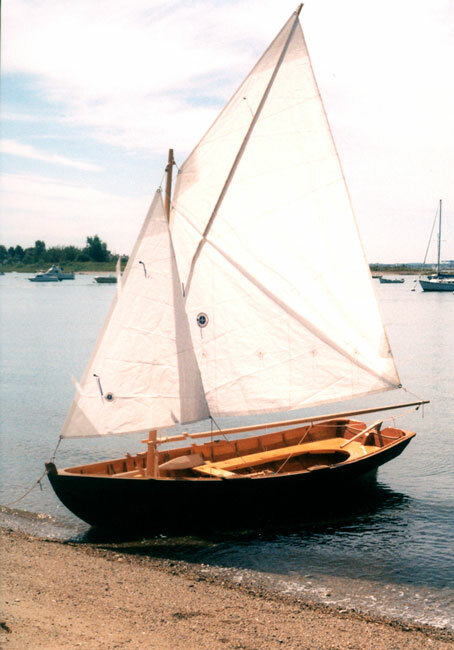 It took him quite a while to actually buy the plans for the Marblehead Skiff from Mystic Seaport, then it took several years to build the boat. The original plans called for a 14' boat, which he scaled up to 16'. 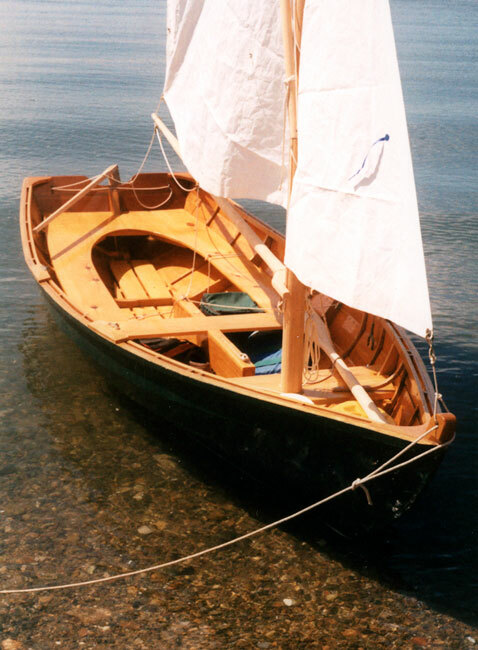 He built the boat using white oak frames and ribs, along with marine fir planking, which he fastened with copper rivets. The transom is mahogany, thwarts are pine, spars are Sitka spruce, and the tiller and oars are from ash. The rig uses a sprit-rigged main sail with a jib.